1. Stalagtite formations in the cave at Paklenica National Park, Croatia – stone being formed. 6. 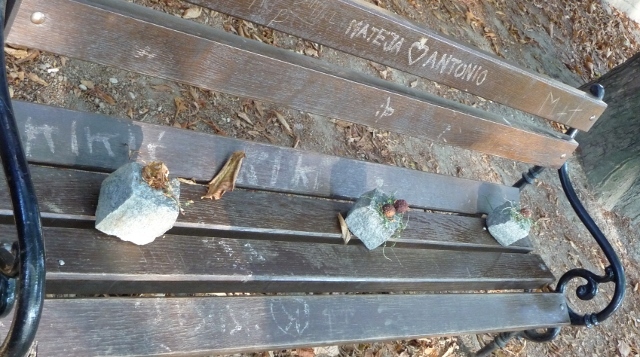 Found art, we came across three stones placed like this in a row on a park bench in Zagreb, Croatia – see image below. 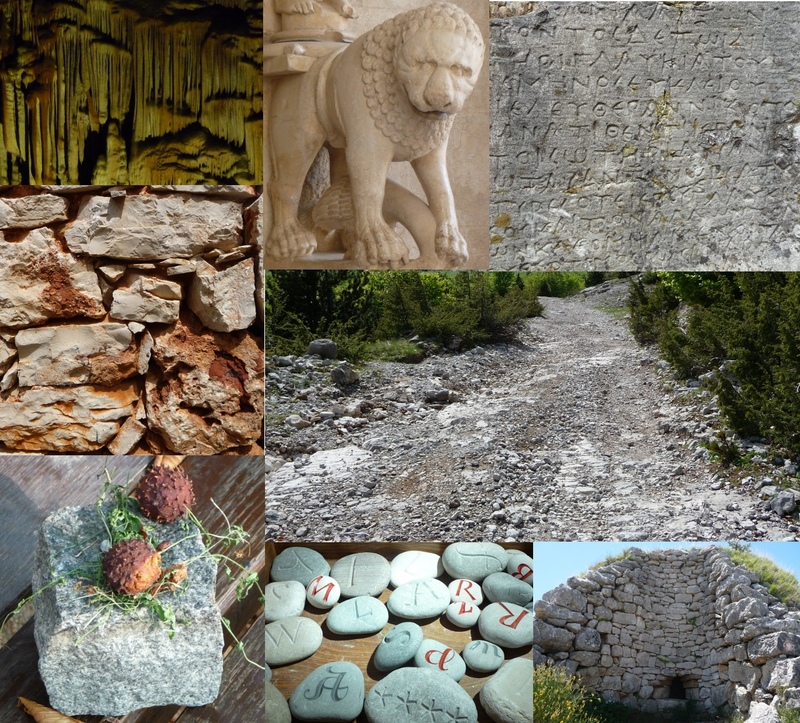 Now over to Lynne to see how stones have inspired her. This entry was posted in Art & Culture stuff, Colourboration. Bookmark the permalink.